Dán decal màu bên ngoài ly gần dụng cụ thử. Sau 30-60 phút, so sánh màu của dung dịch trong phần chóp với màu trên decal. Lưu ý: nếu để quá lâu, màu của dung dịch sẽ bị nhạt đi, trong trường hợp này nên rửa sạch dụng cụ thử và thực hiện lại bứơc 1 đến bước 4. Aquatic plants are living beings that require correct lingting and, above all, regular fertilization with all important nutrients for their healthy growth. A combination of sera floredepot (gravel substrate), sera florena (liquid mineral fertilizer with iron), sera flore daydrops (daily fertilizer), sera florenette A (fertilizer tablets) and the sera CO2 fertilization system ensures lush plant growth and stable water conditions in your aquarium. Directions for use: Share indicator solution bottle well before using! Remove the pyramid-shaped cap and fill it with the aquarium water (approx. 1.5 ml), to just below the edge. Add 3-4 drops of indicator solution, and put the pyramid-shaped cap back on. Invert the testing device and mount it vertically to the aquarium glass (see fig.3) using the provided suction cup. Follow this procedure cafefully, otherwise it will lead to inaccurate results and eventually cause damage to the testing device! Please note: Ensure the hollow space under the device is only party filled with water. Attach the color decal to the outside glass of the aquarium. Close to the testing device, to compare the ongoing test colors. After a prolonged period, the color in the testing device will fade. When this happens, refill the indicator solution and aquarium water, as described above 1 to 3. Clean the testing device. If you have difficulty removing the cap of the testing device, it means the silicon grease on the O-ring has dried up. In this case, carefully remove the cap with a small screwdriver and grease the O-ring with silicone. Blue Insufficient CO2. Plants will not grow properly. Increase CO2 dosage. Follow the directions for use on the CO2 fertillization system. Light green Too much CO2. The fish are breathing heavily near the water surface or swimming abnormally. Lower the CO2 dosage. Aerate the water to expel CO2 from the water. 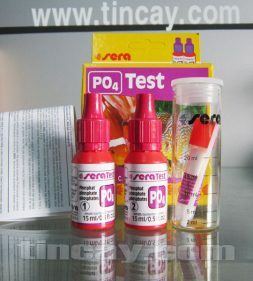 Important: The sera CO2 long- term indicator reacts with changes of CO2 in aquarium water. Reaction time may have a delay of 30 to 60 minutes. If the water level in the testing device changes rapidly, it means the cap is not tightly fitted or the O-ring has become brittle and must be replaced. Please check and correct. Close reagent bottle immediately after use. Store at room temperature (15 – 25ºC/ 59 – 77ºF) and away from light. 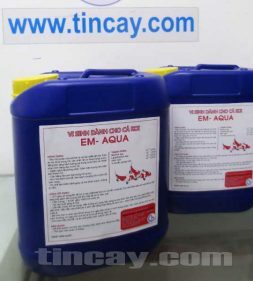 For testing ornamental fish aquariums and pond water only.